This is a question which as an academic I could spend a long time on, but let’s keep it simple. 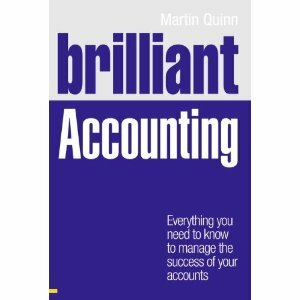 If you open a text book on accounting you’ll get something like ‘management accounting is the branch of accounting which provides information to managers to help them make business decisions’. It earlier times, the term cost accounting was used, as the provision of cost information was most prevalent in the work of what today we’d call management accountants. In a larger business, it’s easy to imagine one or more internal accountants working to provide information on costs, revenues etc. to managers. In a smaller business it’s more difficult to picture this, and I believe the lack of management accounting is a major issue for lots of small businesses. Take a typical sole trader as an example. They typically trade away during the year and make the annual visit to an accountant to find out how much profit they made. But this routine trip is not about management accounting; it’s more about making sure accounts are prepared and taxes on profits calculated. Any business needs much more regular information than this to make key decisions. As mentioned, a typical management accounting task might be to have regular and detailed information on costs – without this a business might not even know if it is making a profit or not. While I admire the dedication and zeal of many budding business owners and entrepreneurs, sometimes a dose of reality is needed on business decisions. Management accounting information does this. For example, many businesses fail because they expand too quick. A typical scenario for a small business might be increasing the work force by adding another employee. Let’s assume the wages amount to £/€/$ 35,000. What management accounting would do is look at the effect of this extra cost of profits, revenues and existing costs e.g. are extra sales needed to cover the cost and how likely are they to occur. Let’s forget about the term ‘management accounting’ for a moment. The point I am making is that accounting (i.e. financial/monetary) information is an essential part of any business decision. What we call it does not matter. But, smaller and/or new businesses don’t seem to do enough of this. How can thus be improved? Well there’s a whole host of things, but in my view the simplest thing any small business can do is make full use of the data it already has. Rather than just going to an accountant annually, prepare accounts on a quarterly or monthly basis. While this may be a daunting task at first thought, there are plenty of accounting software packages out there to help e.g. Quickbooks, Sage and TAS. More regular accounts will at minimum identify losses or poor profits at an earlier stage.